Lee Hayward's Total Fitness Bodybuilding Blog: Nutrition Or Training - Which Is More Important? i want to increase my body weight. i want to know that what is the normal meals for a bodybuilder. Great post Lee! Very imformative! oh snap....Though Lee wrote this. How to build muscular body if I am a vegeterian? 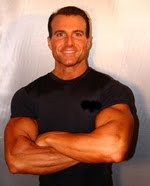 check the articles on bodybuilding.com by Bill Pearl and others. Speaking of nutrition, there are millions of sick and starving children in the world, If all the lifters reading Lee Hayward site would all donate #10.00 or more to FEED THE CHILDREN, we could make a BIG difference. Its easy to do on line. any use in taking inravenous amino acid infusion? how often people are trying this? What workouts/workout plan would you reccomened with toms, burn the fat feed the muscle course? Guyz, stick to your own workout program and listen to your body. we are all different and every singel body is genaticly unique. I followed lee's tips and i've made a great improvement, i've got Blast Your Bench, Muscle explosion..... and i picked up what i need and what is suitable for me from those programs, train as hard as i can, eat as good as i can, cardio as much as i can, rest as much as i can, my body is transformed and ripped in a year! Can someonne give me a decent idea how to get reasonably a good muscle saturation all over. I am not competing..I wish I was though..but at 69 I can only wish to mobilize a good and eye-pleasing muscles combination.Is there anyone at my age who is training moderately and hoping for a good and pleasing shape to be in..? Let me knoe if you would on coskun.toktamis@hotmail.co.uk Thank you. Training is much more important than nutrition assuming one eats a fairly healthy diet. the importance of supplements is a myth fostered by the supplement companies. Visit a prison sometime, you will see guys that look better than most of us and they don't have steroids or supplements, and eat an average diet at best. Take two hundred men that eat an average diet and have never worked out. Put half on heavy weight training and half on a perfect diet. who do you think would look better after a year? Too much emphasis on diet. Progressively exerting yourself is the way to go IMO. Eat healthy but don't get too scrupulous about it. The supplement myth is perpetuated by companies just trying to make money. Whenever I hear the blender going in the gym I just laugh to myself. Move some heavy weights around, it's not rocket science! And don't believe the 3 times a week thing either. Go every day until your body tells you to take a day off. And don't count your reps, do them until the point of exhaustion - that's real exertion. The fat will disappear faster than a roid-monster's nuts. Lee, ur a cool Canuck.